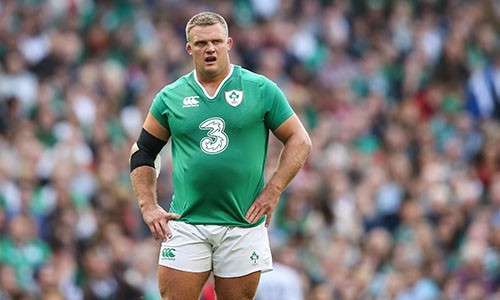 Nathan White, a former Waikato and Chiefs prop, played 13 tests for Ireland from 2015-16. He moved to Leinster from Waikato and the Chiefs in 2011, and quickly shifted to Connacht where he became qualified to play for Ireland. The former Waikato captain joined Connacht in the summer of 2012, having spent a season at Leinster under Joe Schmidt. He played in 58 games over four seasons with Connacht. The dynamic front rower, renowned for his scrummaging and leadership skills, made his international debut in 2014 at 33 years of age. He was introduced off the bench against Scotland at the Aviva Stadium as part of the GUINNESS Summer Series that took place ahead of the 2015 Rugby World Cup. Nathan White went on to feature in all five of Ireland World Cup games in the 2015 Rugby World Cup.